gclteens – Reviews, News, and Fun Stuff to Choose for Glen Carbon Teens! Reviews, News, and Fun Stuff to Choose for Glen Carbon Teens! Do you run yourself ragged trying not just to do it all, but to do it all flawlessly? Do you lose sleep ruminating over small mistakes or worrying about something you said or did might have offended someone? Have you ever passed up a big opportunity- a relationship, a job, or personal challenge- for fear you wouldn’t nail it right away, or look foolish trying? For you, is failure simply not an option? You’re not alone. As women, we’ve been taught from an early age to play it safe. Well-meaning parents and teachers rewarded us for being quiet and polite, urged us to be careful so we didn’t get hurt, and steered us to activities at which we could shine. Meanwhile, boys were encouraged to speak up, get dirty, take risks, and get right back up if they fell. In short, boys are taught to be brave, while girls are taught to be perfect. As a result, we grow up to be women who are afraid to fail. And as too many of us eventually learn, when we hold ourselves back because we dread not being good enough, appearing less than perfectly together, or making the wrong choice, we tamp down our dreams and narrow our world, along with our chance at happiness. But it doesn’t have to be that way. 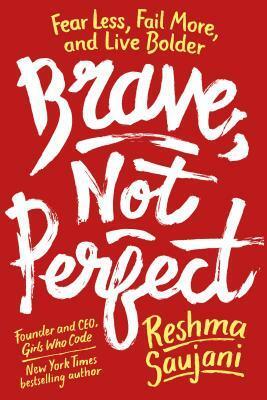 In a book inspired by her Ted Talk, Reshma Saujani shows us how to break free from the trap of perfection and rewire ourselves for bravery. While chasing perfection may set us on a path that feels safe, it’s bravery that leads us to the one we’re authentically meant to follow. Bravery gives us the power to claim our voice, to leave behind what makes us unhappy and go for what sparks in our souls. Drawing on hundreds of interviews with girls and women from across the country, stories of fearless women changing the world one brave act at a time, and her own personal journey to accept her imperfections, Saujani shares an array of powerful insights and practices to make bravery a lifelong habit. By being brave, not perfect, we can all become the authors of our biggest, boldest, and most joyful lives. Yet against all odds, those labels soon become actual people to Norris… like loner Liam, who makes it his mission to befriend Norris, or Madison the beta cheerleader, who is so nice that it has to be a trap. Not to mention Aarti the Manic Pixie Dream Girl, who might, in fact, be a real love interest in the making. He even starts playing actual hockey with these Texans. Miriam’s family should be rich. After all, her grandfather was the co-creator of smash-hit comics series The TomorrowMen. But he sold his rights to the series to his co-creator in the 1960s for practically nothing, and now that’s what Miriam has: practically nothing. And practically nothing to look forward to, either: How can she afford college when her family can barely keep a roof above their heads? 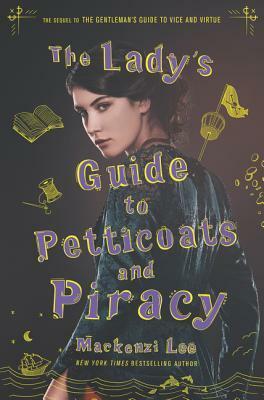 As if she didn’t have enough to worry about, Miriam’s life gets even more complicated when a cute new boy shows up in town . . . and turns out to be the grandson of the man who stole the future from Miriam’s grandfather. Yes, Weldon Warrick, with his brilliant grin and troubled eyes, is the heir to the TomorrowMen fortune. Before long, Miriam and Weldon find themselves at the center of a modern Romeo and Juliet story about family, class, geek royalty, and what it takes to heal the long-festering scars of the past. 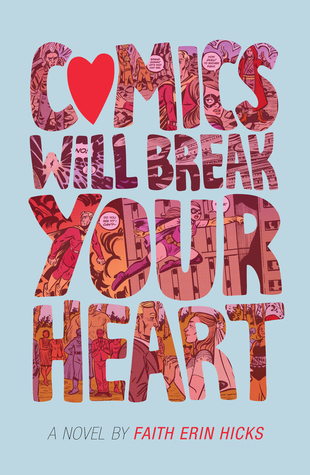 Time may heal all wounds, but comics will break your heart. 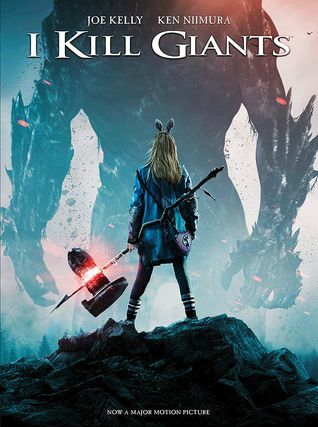 I Kill Giants tells the story of Barbara Thorson, an acerbic middle schooler who is convinced that a giant is coming to town. A giant she’s sworn to find, hunt, and kill. As the monster draws closer and dark omens abound, the lines between Barbara’s fantasy life and real world problems become blurred, ultimately revealing a powerful and emotional truth. From the basics of physics to big questions about the nature of space and time, celebrated astrophysicist and science communicator Neil deGrasse Tyson breaks down the mysteries of the cosmos into bite-sized pieces. 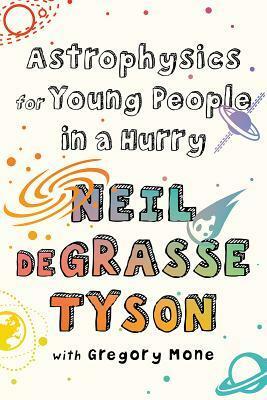 Astrophysics for Young People in a Hurry describes the fundamental rules and unknowns of our universe clearly—and with Tyson’s characteristic wit, there’s a lot of fun thrown in, too. Thorn, an outlaw’s son, wasn’t supposed to be a slave. But after he ran away from home, he was captured and sold to Tyburn, an executioner. Now they’re headed to Castle Gloom in Gehenna, the land of undead, where Thorn will probably be fed to a vampire. Lilith Shadow wasn’t supposed to be ruler of Gehenna, but she is the last surviving member of House Shadow, a long line of dark sorcerers. Her country is surrounded by enemies, and the only way she can save it is by embracing her heritage and practicing the magic of the undead. 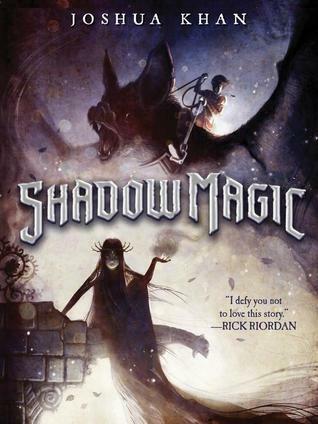 But how can she when to her—as a girl—magic is forbidden? 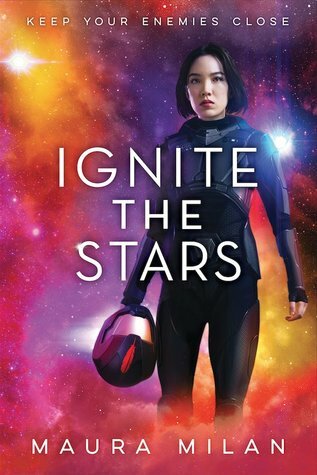 A sudden death brings Thorn and Lily together, inspires them to break the rules, and leads them to soar to new heights in this fantasy with all the sparkle and luster of a starry night sky. On the eve of her twelfth birthday, Nisha receives a journal— a place to record the thoughts she can never seem to say aloud as she starts to see the world through older eyes. But it’s not just Nisha who is changing. She doesn’t even recognize her country anymore. It’s 1947, and India, newly freed from British rule, is being divided into two countries: Pakistan and India. Many people are killed crossing borders as tensions among Hindus, Muslim, Sikhs, and others flare. Nisha doesn’t know which side she’s supposed to be on or why she has to choose. After losing her mother, who died giving birth, she can’t imagine losing her homeland, too. Mama was Muslim but now she’s gone. Papa is Hindu, and says it’s no longer safe for them to stay in Pakistan. And so Nisha and her family become refugees and embark on a dangerous journey by train and by foot to reach their new home on the other side of the border. 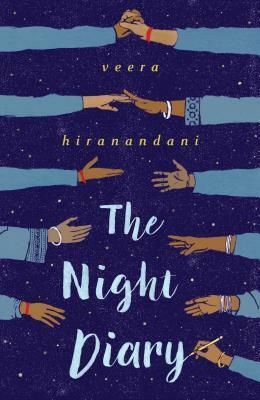 Told through the letters Nisha writes to her mother in her journal, The Night Diary is a story of one of the most dramatic moments in history and of one girl’s search for home, for her own identity, and a hopeful future. Across the universe, she’s the monster with many names. But no one realizes that infamous outlaw Ia Cocha is a seventeen-year-old girl. A criminal mastermind and unrivaled pilot, Ia has spent her life terrorizing the Olympus Commonwealth, the imperialist nation that destroyed her home. When the Commonwealth captures her and her true identity is exposed, they see Ia’s age and talent as an opportunity: by forcing her to serve them, they will prove that no one is beyond their control. And outside the Academy, there are forces of evil at work, machinations that even the great Ia Cocha doesn’t know about—things that threaten not only the Commonwealth, but the entire fabric of the universe itself. Where do you look for someone who’s never really there? Stevie’s willing to do anything to get back to Ellingham, be back with her friends, and solve the Truly Devious case. Even if it means making a deal with the despicable Senator Edward King. And when Stevie finally returns, she also returns to David: the guy she kissed, and the guy who lied about his identity—Edward King’s son. But larger issues are at play. Where did the murderer hide? What’s the meaning of the riddle Albert Ellingham left behind? And what, exactly, is at stake in the Truly Devious affair? The Ellingham case isn’t just a piece of history—it’s a live wire into the present. The path to the truth has more twists and turns than she can imagine—and moving forward involves hurting someone she cares for. 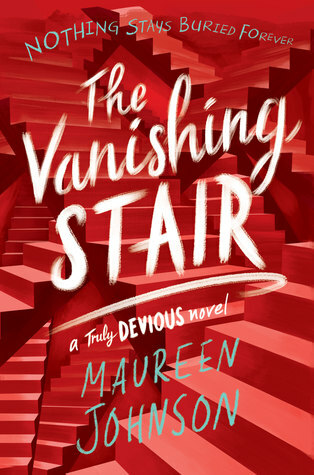 In New York Times bestselling author Maureen Johnson’s second novel of the Truly Devious series, someone will pay for the truth with their life.